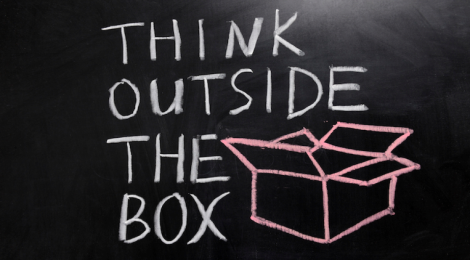 At one of the sub-plenary sessions at EGOS 2014, Robert Chia stated that “in order to really think outside the box, you should ask where the box came from”. In the paper for next week, the authors touch on this question when they discuss how the prospering academic practice (in their opinion) generate a shortage of novel and influential ideas – which leads to boxed-in research, instead of box-breaking research. The paper is called ‘Habitat and Habitus: Boxed-in versus Box-Breaking Research‘ and it is written by Mats Alvesson and Jörgen Sandberg. This paper argues that scholarly work is increasingly situated in narrowly circumscribed areas of study, which are encouraging specialization, incremental adding-to-the-literature contributions and a blinkered mindset. Researchers invest considerable time and energy in these specialized areas in order to maximize their productivity and career prospects. We refer to this way of doing research and structuring careers as boxed- in research. While such research is normally portrayed as a template for good scholarship, it gives rise to significant problems in management and organization studies, as it tends to generate a shortage of novel and influential ideas. We propose box-breaking research as a strategy for how researchers and institutions can move away from the prevalence of boxed-in research and, thus, be able to generate more imaginative and influential research results. We suggest three versions: box changing, box jumping and, more ambitiously, box transcendence. As a complement, also have a look at “Breaking out of the straitjacket of project research: in search of contribution” published in 2011 in IJMPiB on a similar topic.